Personally, I prefer to use this tablet and pen over a mouse because the pen is so pressure sensitive and can pick up the minutest changes in the pressure and tilt of your hand as you draw or paint. Digital brushes are also designed specifically to work with these pens. Please do not confuse this kind of tablet with a computer tablet such as the iPad! The Wacom graphics tablet and pens are designed to act as your palette and brush or pencil. I have the INTUOS PRO tablet and pen, shown above. It is important to note also that these software programs cannot be installed onto a tablet that is not a full computer, such as the iPad. There are painting and drawing apps for the iPad but they can't be compared to the 3 painting programs I mentioned above! With computer, computer software program and graphics pen and tablet you are ready to paint digitally! And what a world of fun it is! You can replicate ANY traditional media while still having the flexibility of undoing any mistake by pressing control Z. Or you can change you paper and canvas surface in mid stream... Or you can change the colors in your painting after it is completed.... 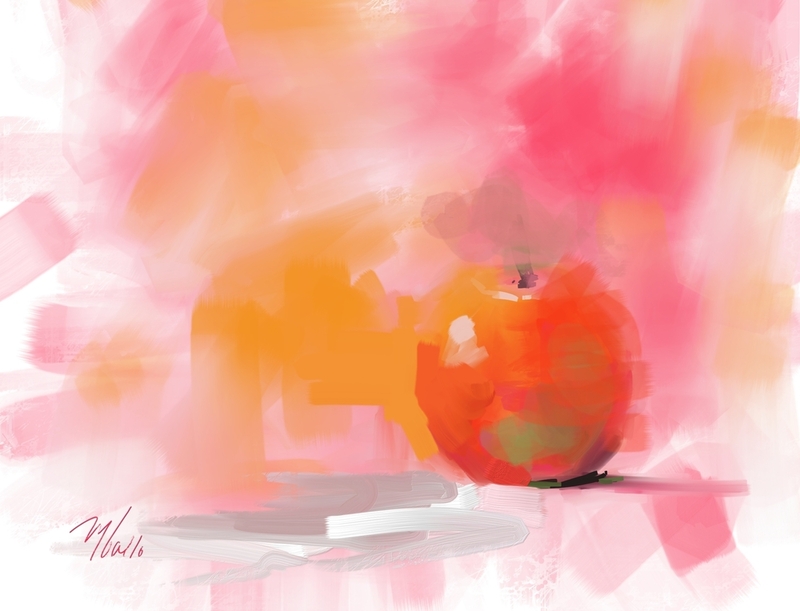 The possibilities of creation are ENDLESS with digital painting! Want to learn more? Check out my completely downloadable online painting workshops available HERE. In testing brushes and papers for the landscape class that begins tomorrow, I'm having so much fun just playing with different shades of olive green, gray and gold! I've been ferverishly and happily working away on my digital watercolors in preparation for my upcoming landscape class that begins Wednesday March 18th. I am so excited-working with digital watercolors is every bit as fascinating as working with the traditional version! As I watch subtle pools of color spread across my "canvas" I just can't believe that it is all occurring digitally. What will they think of next?